Set your sights on a BARGAIN! Home Again & Lumina Gem! from a rarely used home in Landfall! 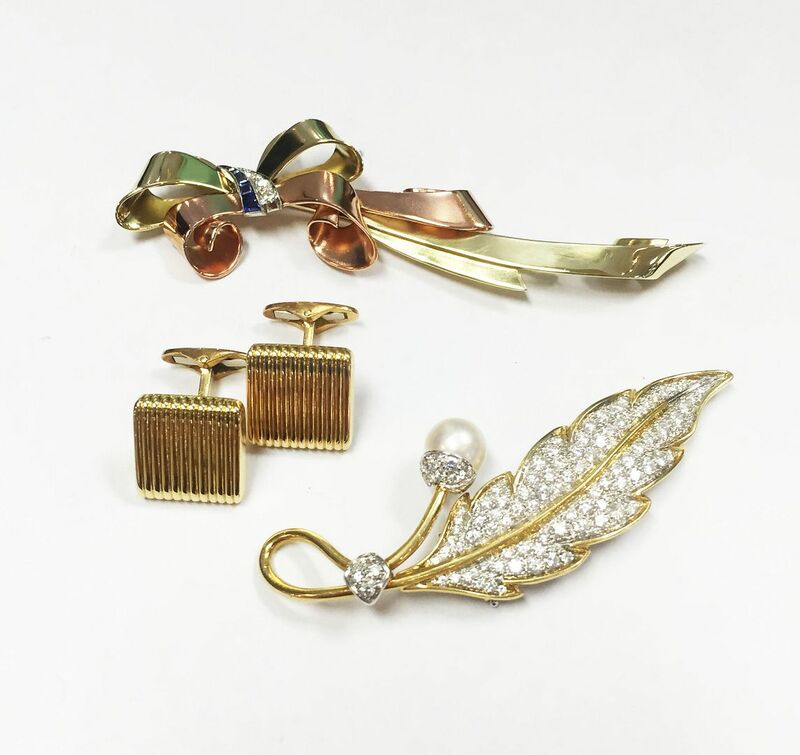 All items are like-new! Table with eight chairs by American Woodcrafters, a true value at $1,495. This lovely floral art is a STEAL at $72. Mirror mirror on the wall…we’ve got the best mirrors of them all! The kids can do their worst to this sofa, and it’ll clean right up! Sorry, bedside table is sold. oversized gray tufted 30″ barstools $165 each, not sold separately. Pair of MAITLAND SMITH lovebirds, a steal at $62, 13″H. Want designer looks for less? Large Italian pottery platter in pretty fall colors, $42, 22″ diameter. DEAL ALERT. Great quality 24″ counter stools, $68 each. Serene vintage-look bathing beauty figurines, $6 each. 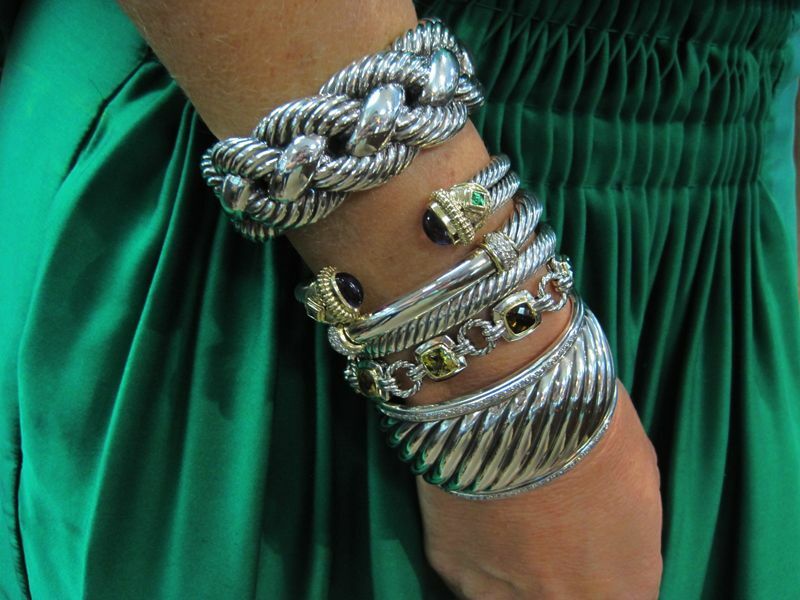 your own hands…consign with Lumina Gem! and all other designer brands as well. And now for the SIZZLING SUMMER SALE Deals…. 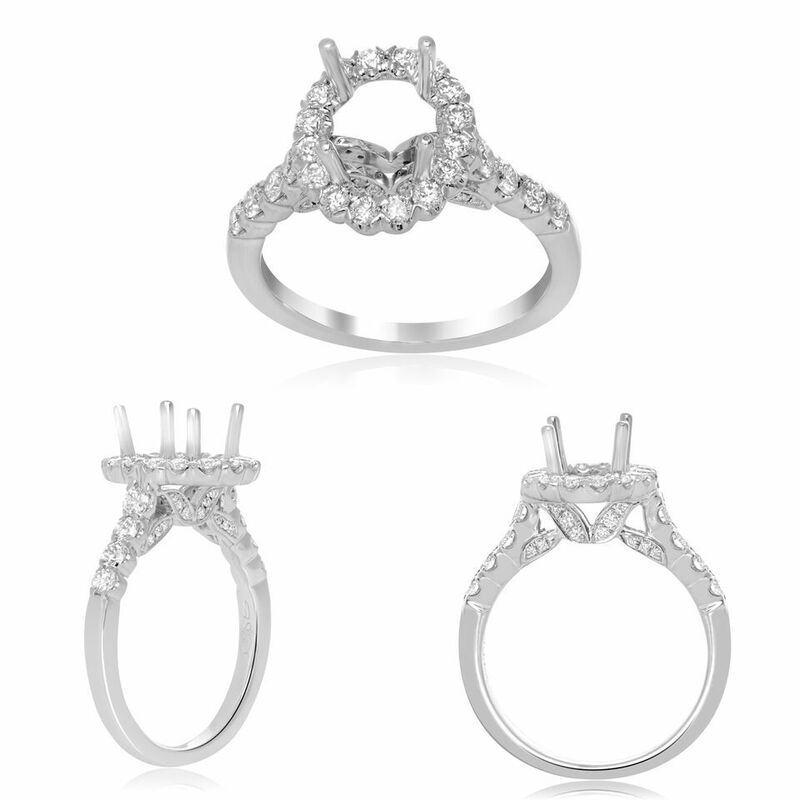 These Cassis designer rings are set with diamonds in 18kw gold. 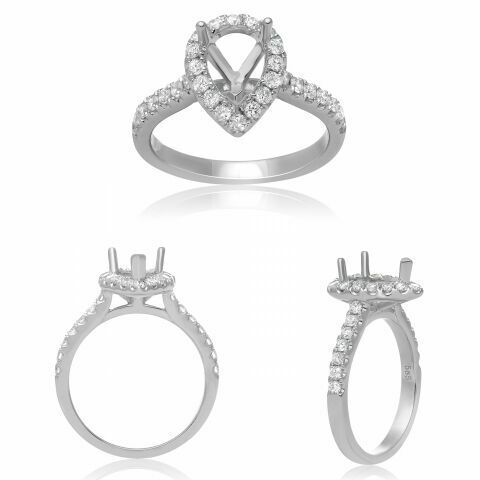 Heart ring sale price, $955. 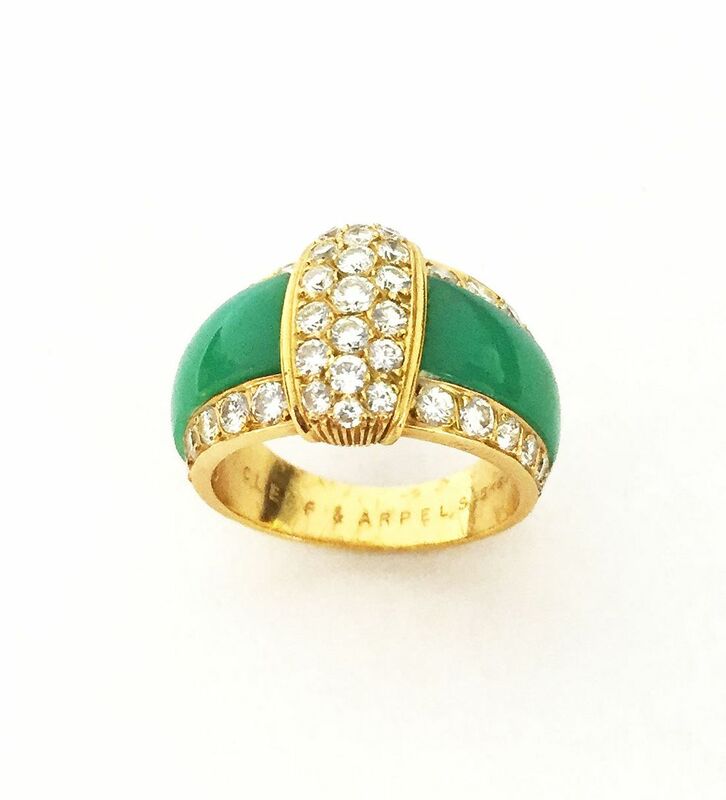 Open ball ring sale price, $955. 14kw gold bracelet, 10mm, 10 grams. Sale price $395. 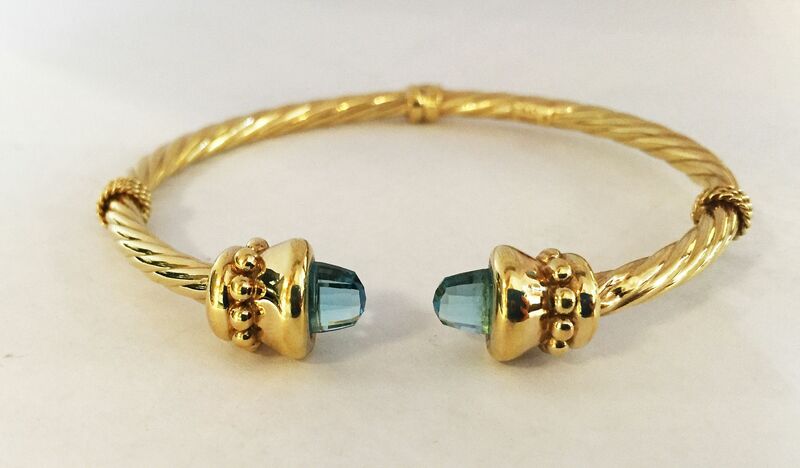 A hinged Italian 14ky gold cuff with blue topaz faceted on the end caps. Sale price $235. This is a STEAL. 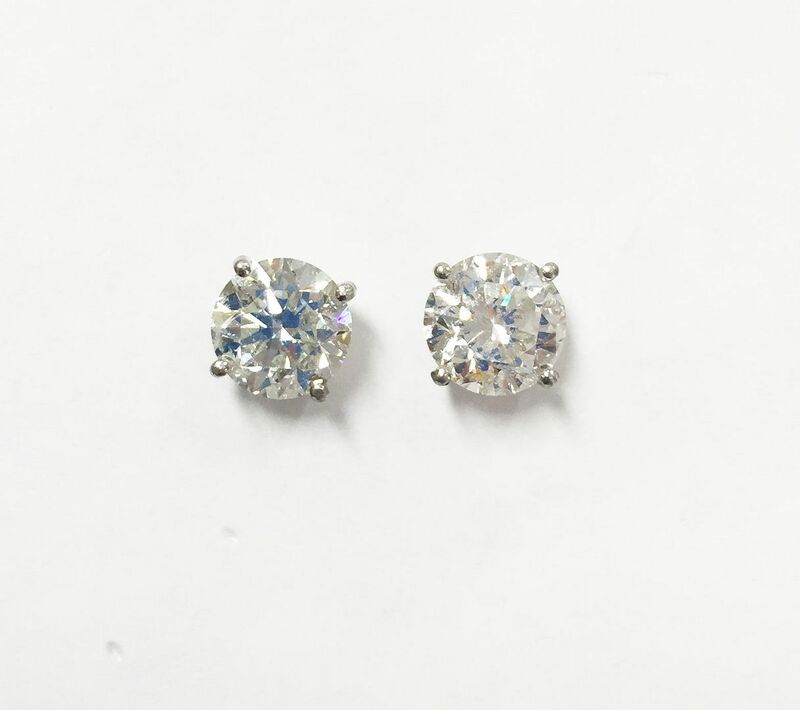 4.09ctw H-I color, SI2/I1 clarities set into platinum. 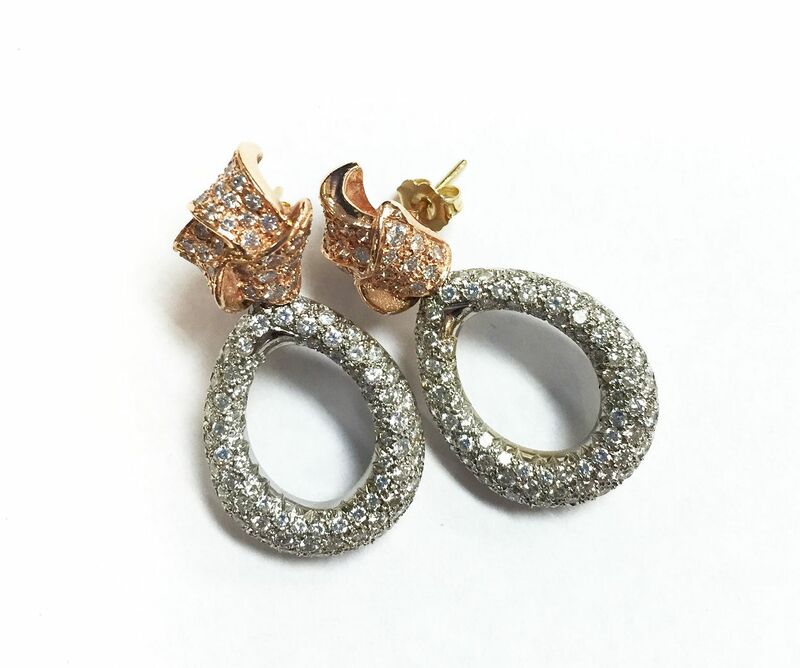 Approximately 2.50ctw diamonds set into 14k white and rose gold. 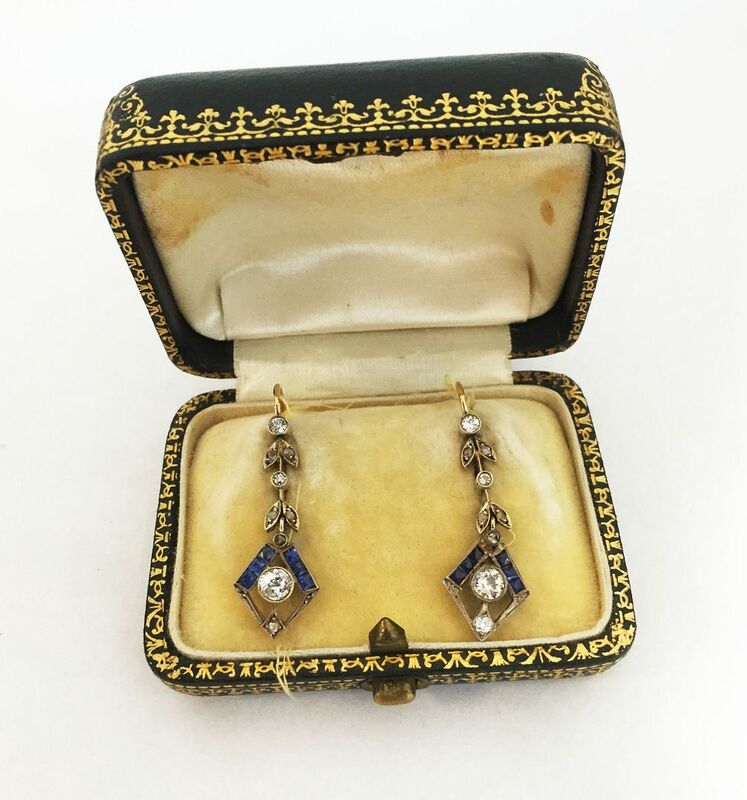 Antique 22ky gold dangle earrings, 15.9 grams. 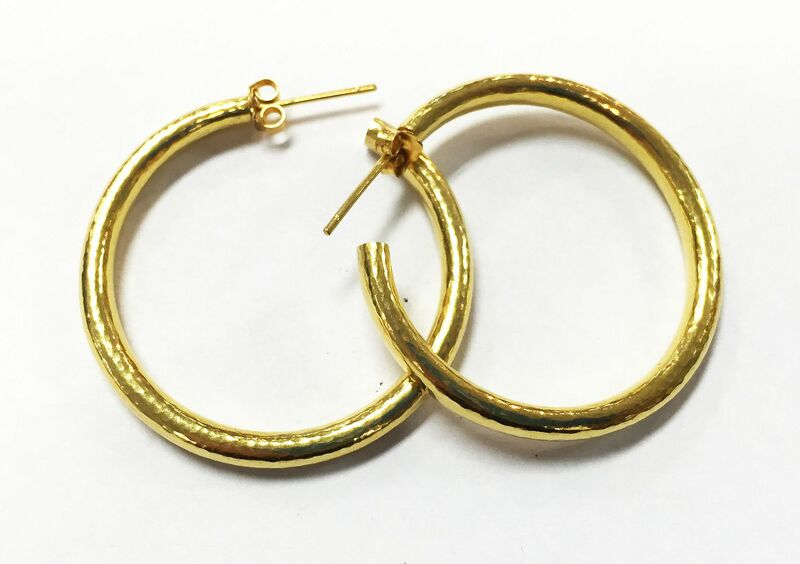 Hammered, vintage 18ky gold, 3.5mm, 12.7 grams, 1.25 inches hoops. 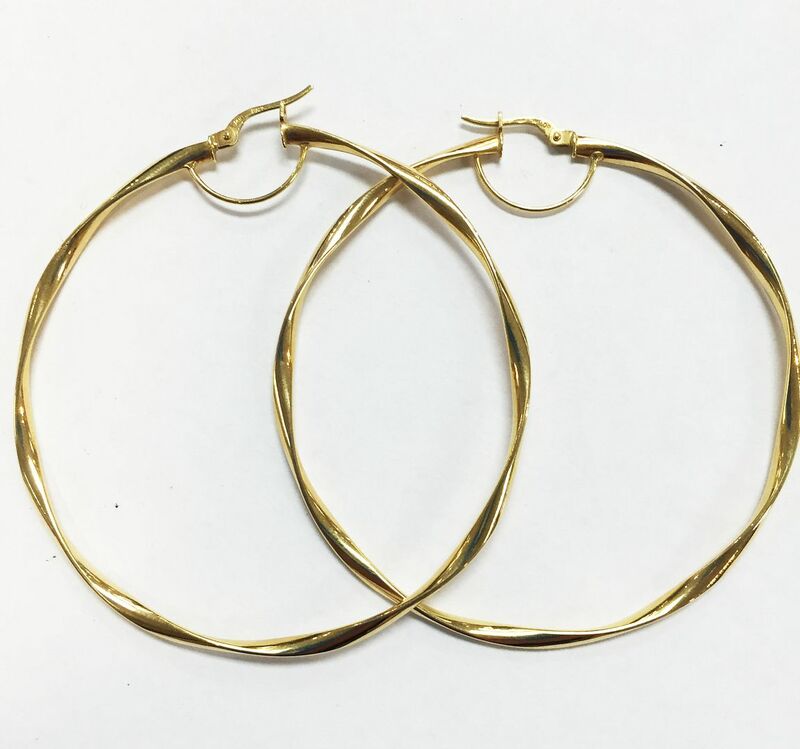 We love these J-Lo style 2.25 inch, 14ky gold hoops. 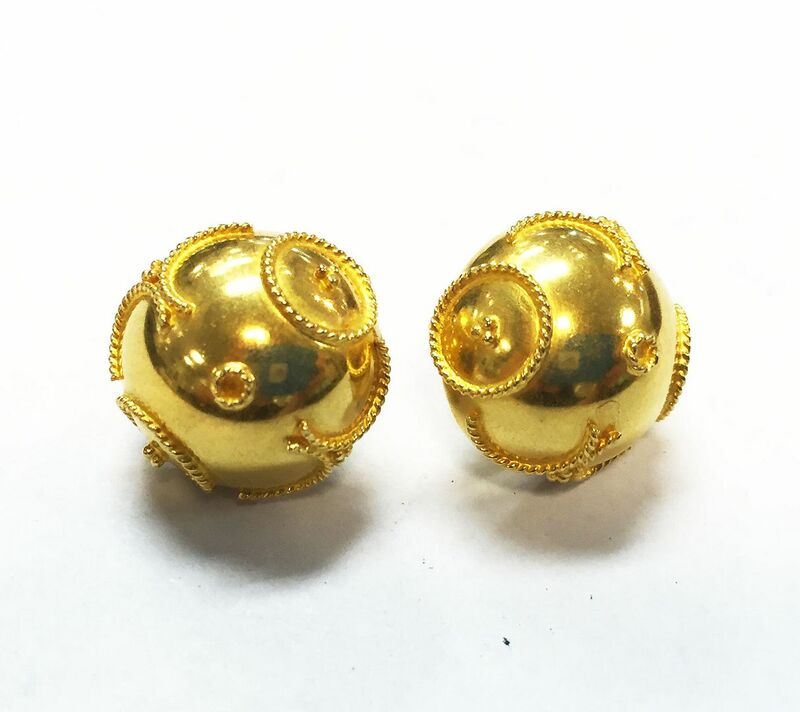 Antique 18mm decorative ball 18ky gold earrings. Sale price $475. 40.00ctw multi gemstone (amethyst, blue topaz, green tourmaline, peridot, citrine, rhodolite garnet) set into 18ky gold, size 7.25 inches. 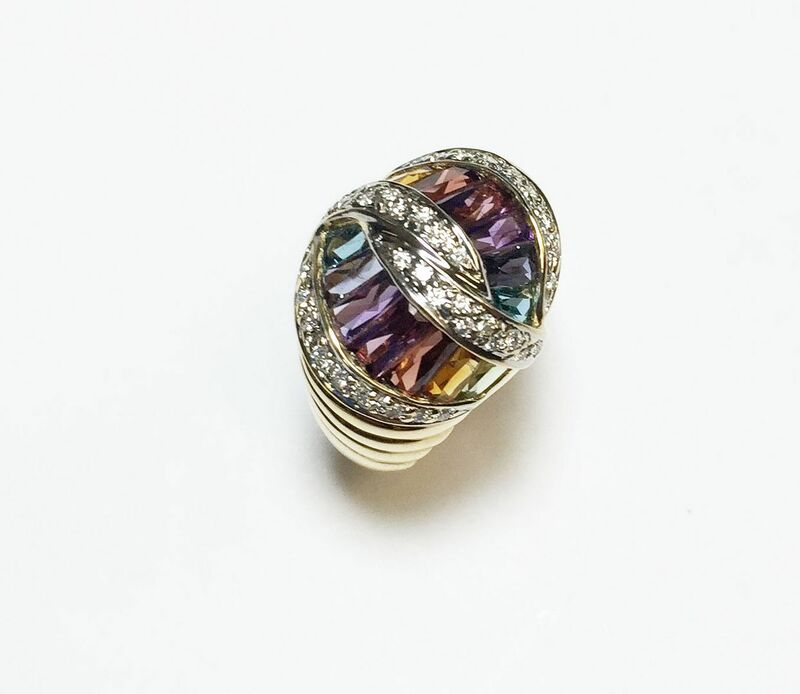 5.00ctw multi-gemstone (blue topaz, peridot, amethyst, citrine, rhodolite garnet) with .40ctw diamonds in 18k yellow and white gold. 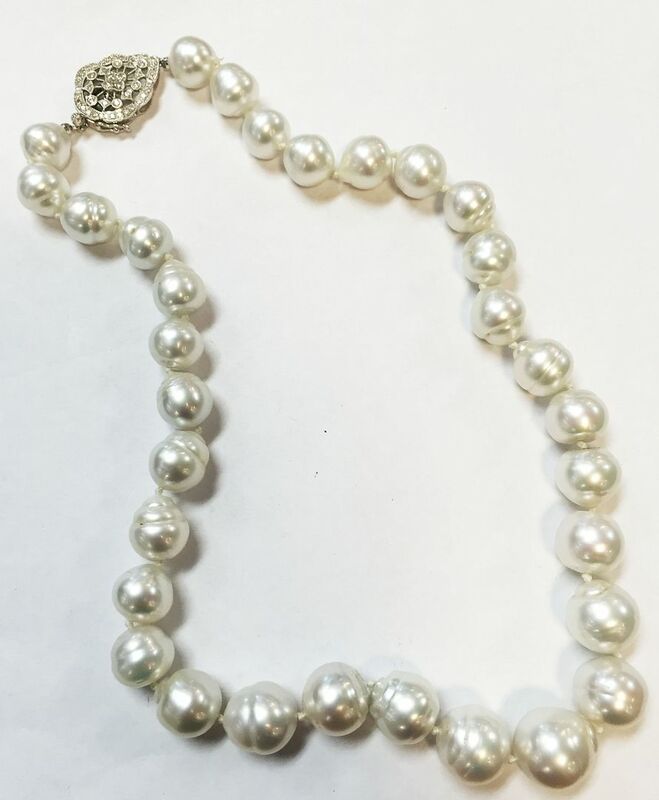 11.5 to 16mm south sea pearl necklace with a .50ctw diamond 18kw gold clasp, 19.5 inches. Sale price $2,715. set into 18ky gold. Sale price $795. 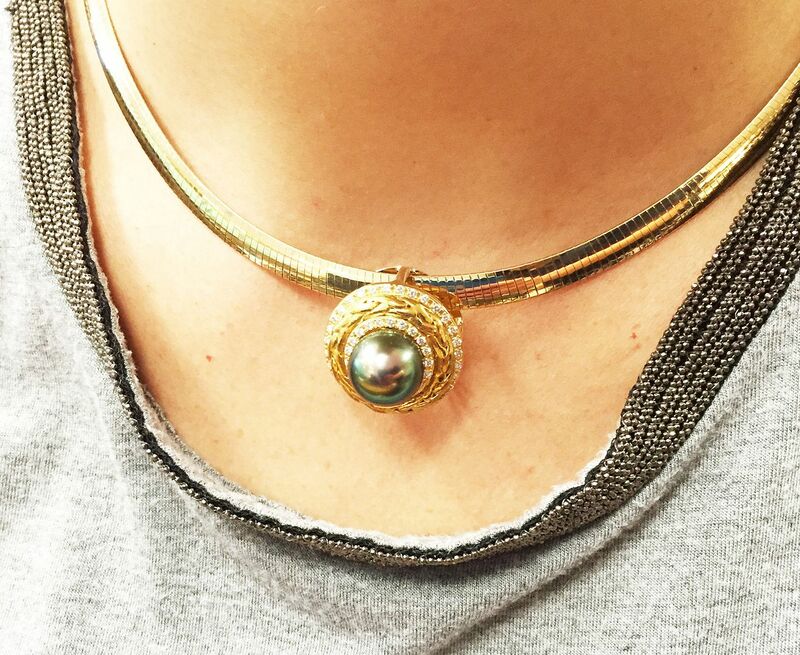 12mm Tahitian pearl in a handmade .50ctw diamond 18ky gold slide pendant. Sale price $1,035. 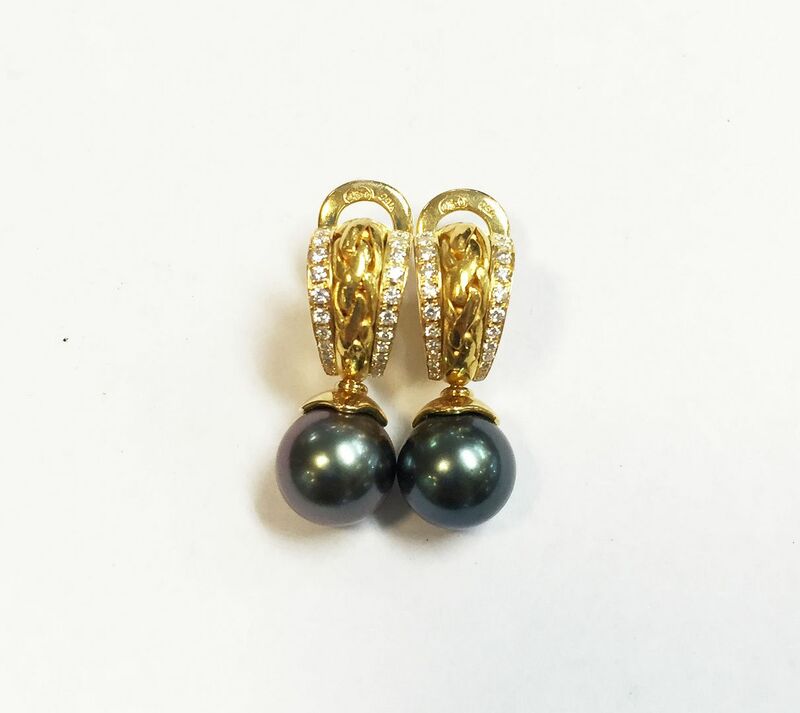 11.75mm Tahitian Pearl set into 18ky gold. Sale price $955. 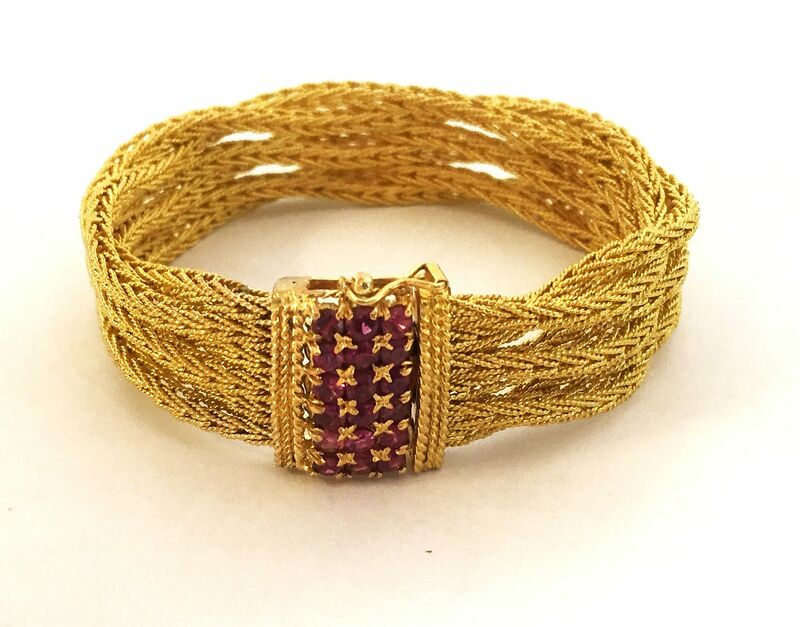 clasp on a hand-woven 18ky gold 46 grams bracelet. 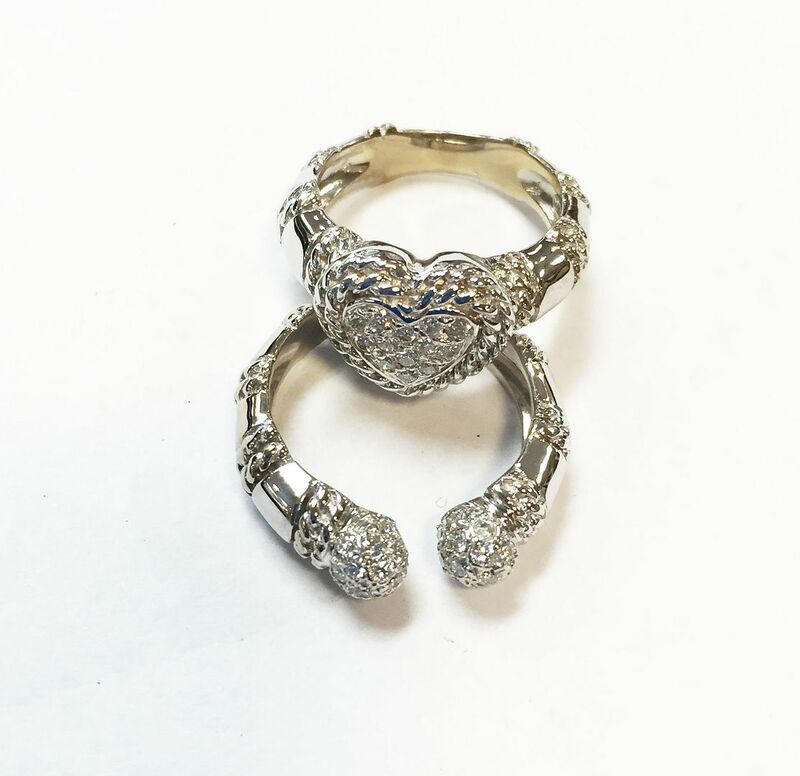 Sale price $2,955. 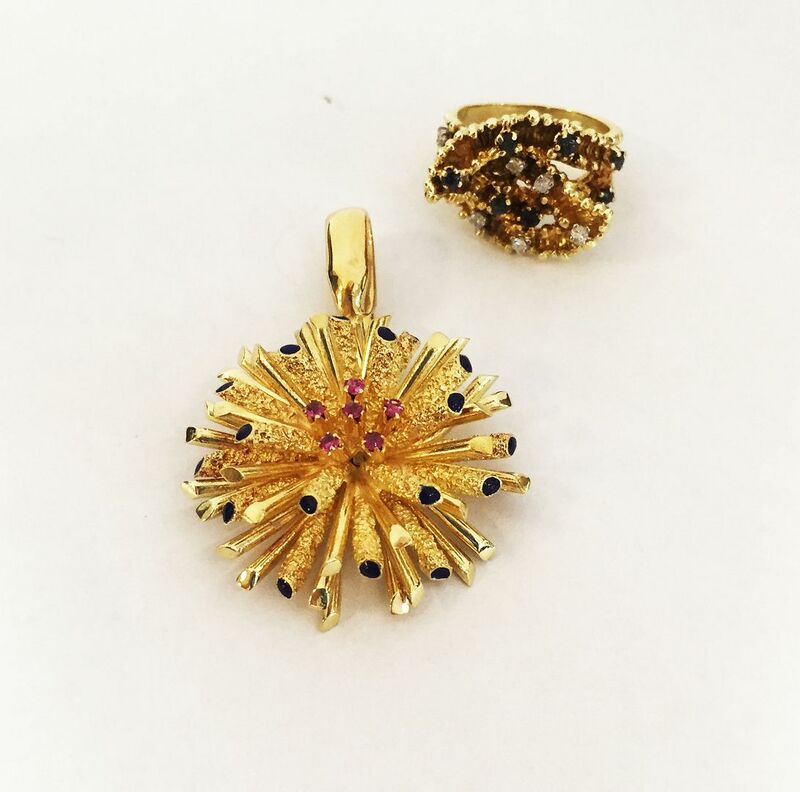 .30ctw round in the dangle accented by .30ctw sapphires and .20ctw diamonds throughout in 14k two tone gold leverback. Sale price $2,200. 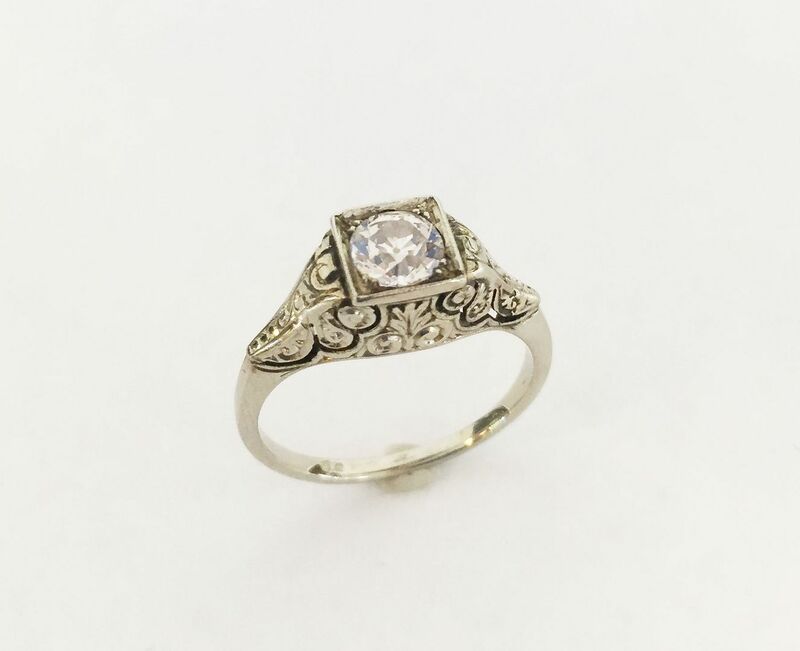 Sapphire and diamond antique 18ky gold ring. Sale price $955. Pink sapphire and blue enamel 18ky gold pendant. Sale price $1,195. with black enamel work. Sale price $1,595. 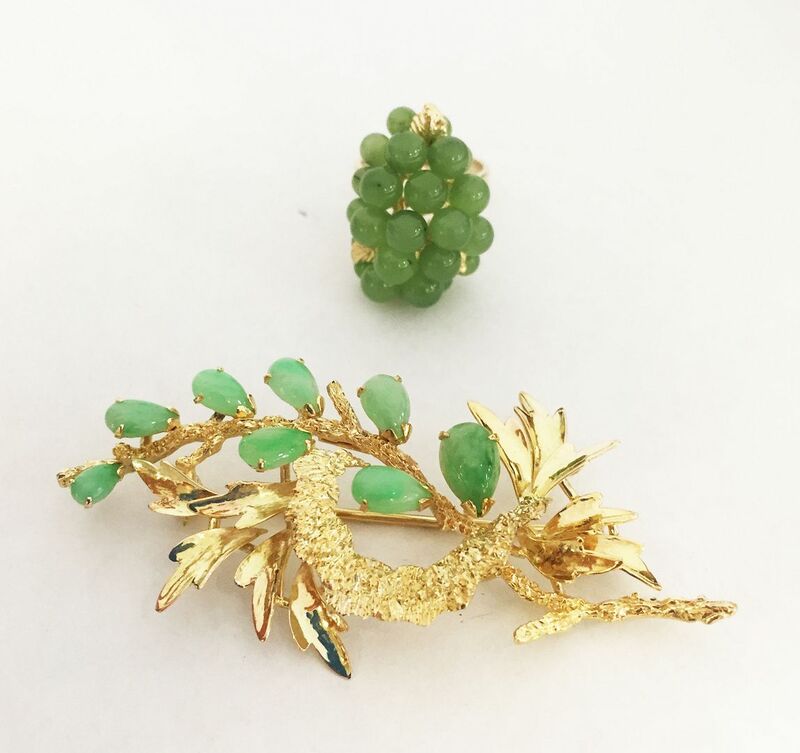 Jade cluster in 14ky gold. Sale price $475. Jade 14ky gold brooch. Sale price $775. 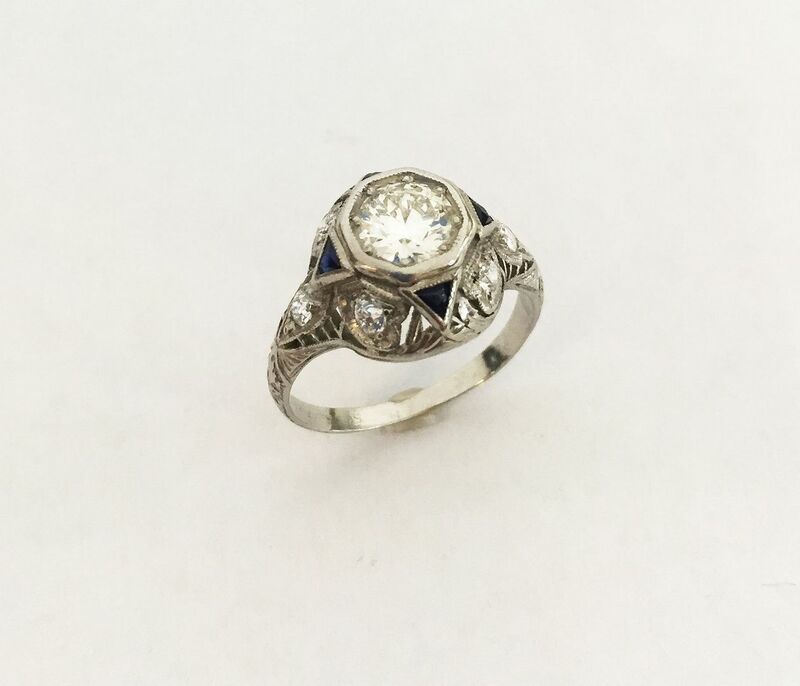 Art Deco antique ring with .80ct diamond with .20ctw diamond accents and .10ctw sapphire trillions set into platinum. 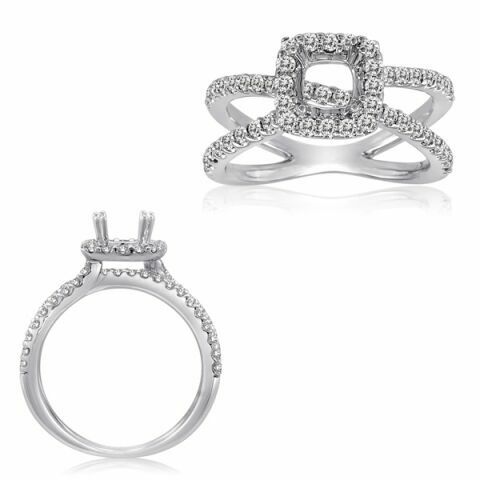 Sale price $3,835. in 18ky gold. 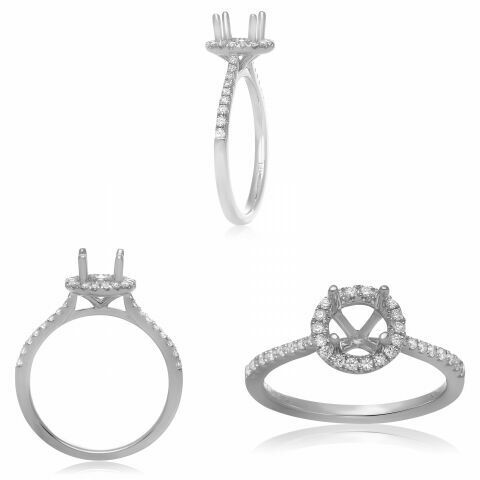 Sale price $2,875. 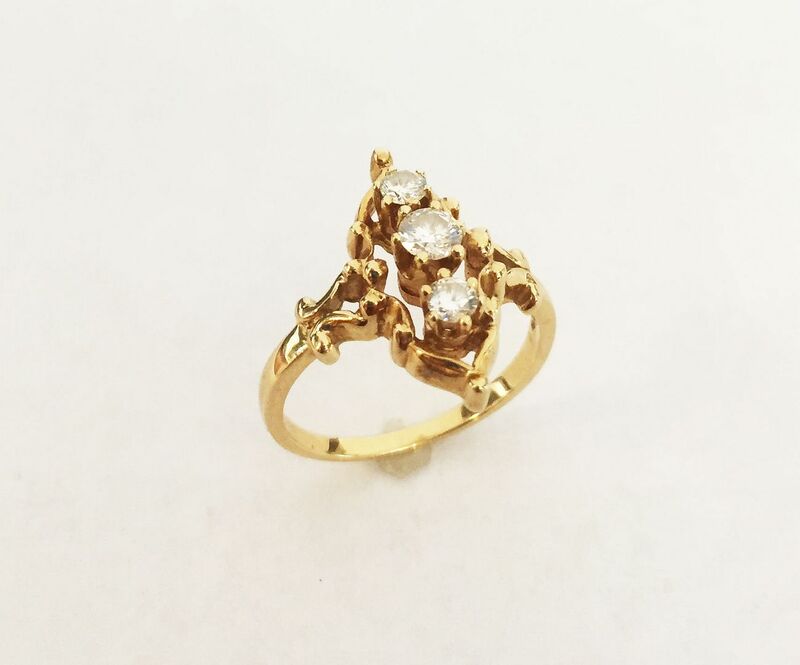 .50ctw diamond three stone ring in 14ky gold. Sale price $595. 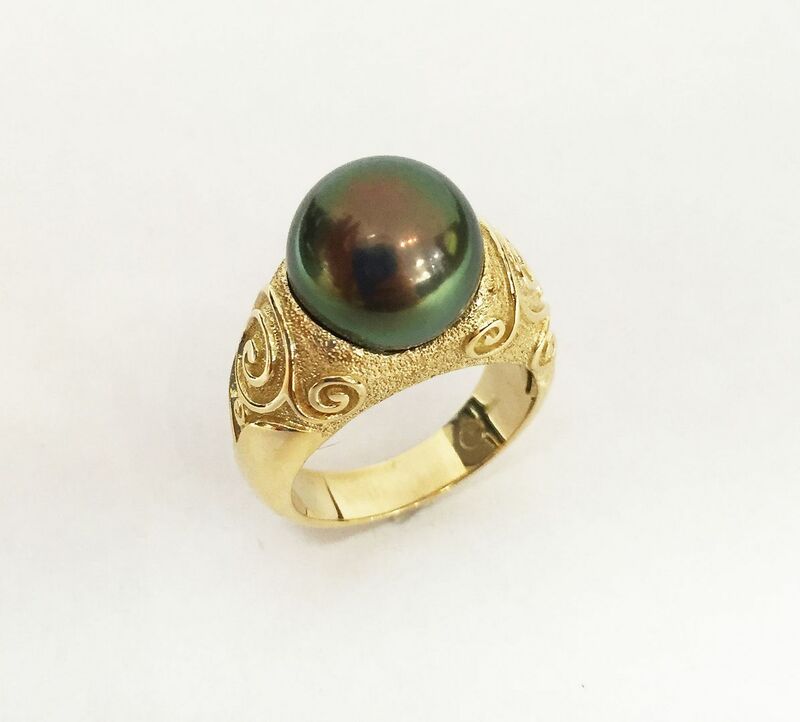 antique ring. Sale price $5,435. .75ctw diamond semi mount in 14kw gold. Sale price $2,295. cut diamond. Sale price $1,795. 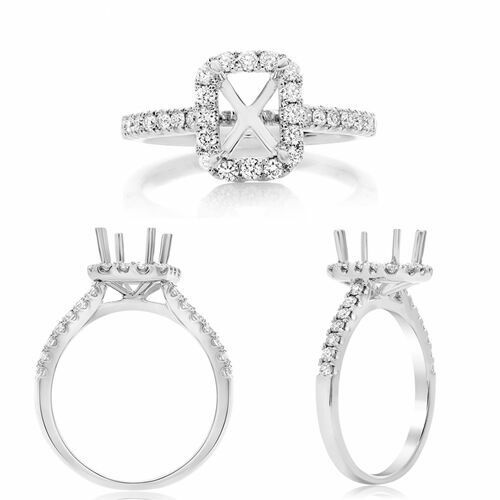 or cushion cut diamond. Sale price $1,395. 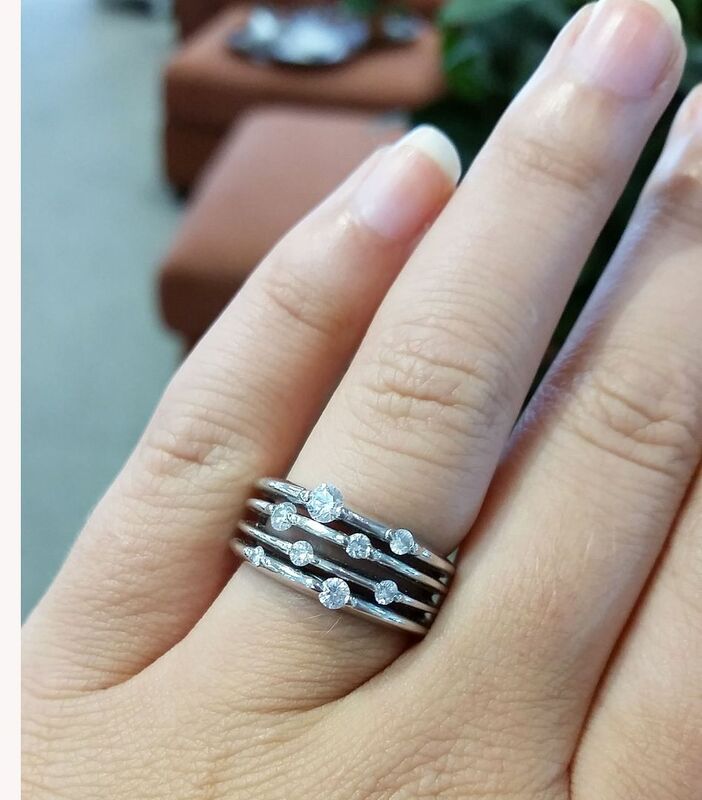 a round brilliant diamond. Sale price $975. 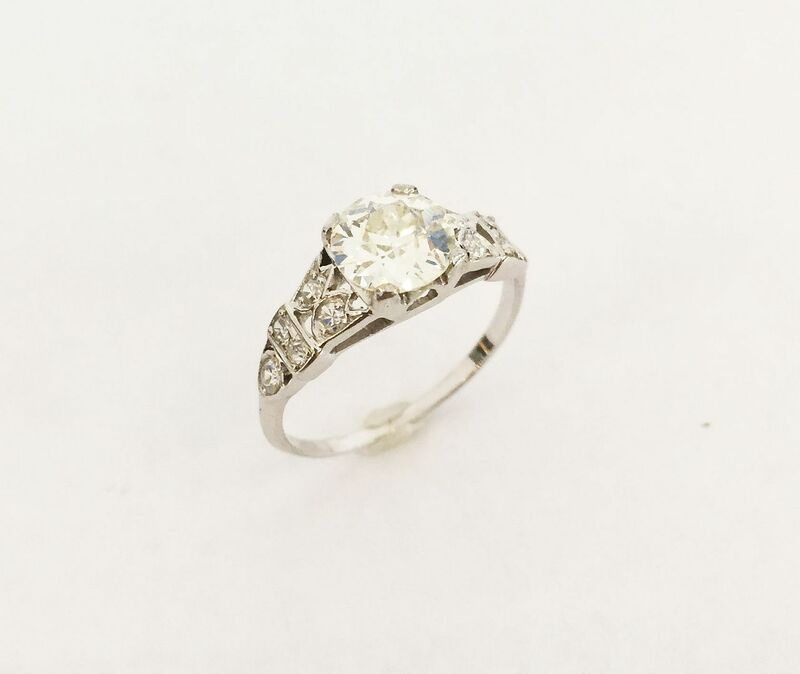 an oval diamond. Sale price $2,125. 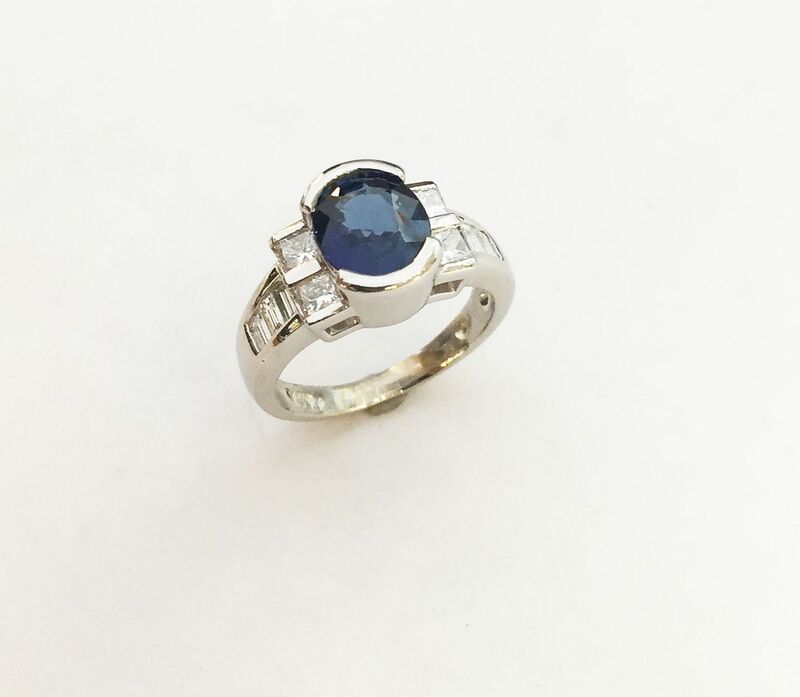 1.50ct natural blue sapphire oval, 1.30ctw diamonds set into platinum. 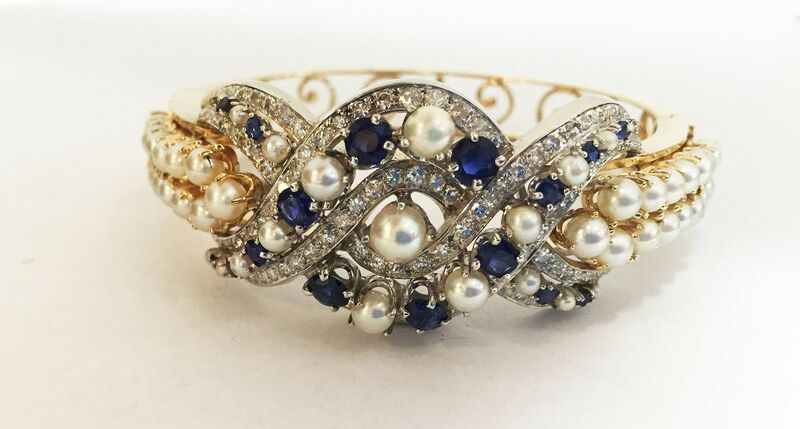 Sapphire and diamond 14k yellow and rose gold brooch. 18ky gold square cufflinks. Was $695. Now $385. 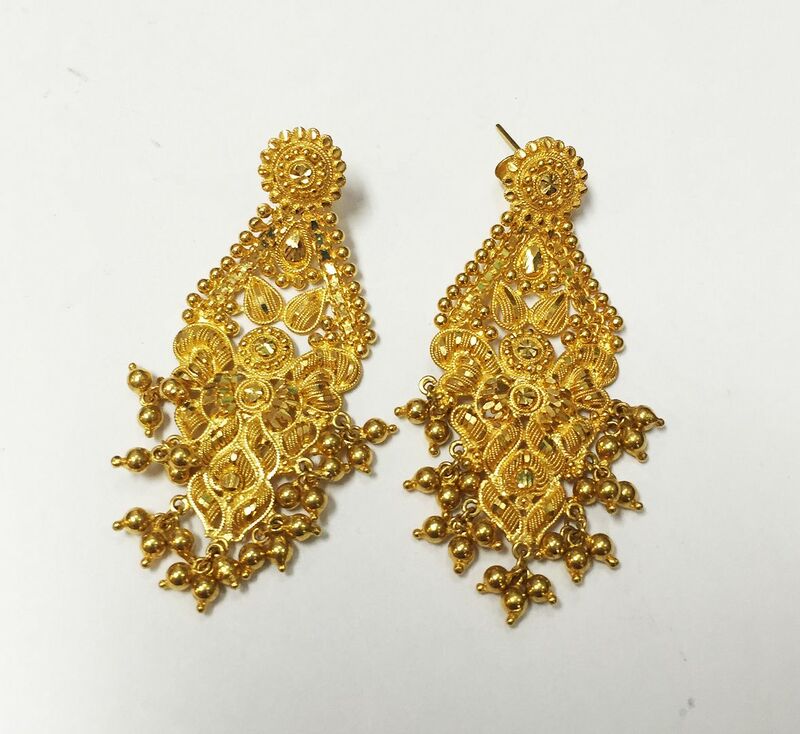 in 18k yellow gold. Was $4,995. Now $2,395. Started at $1,795. Last week was $995. 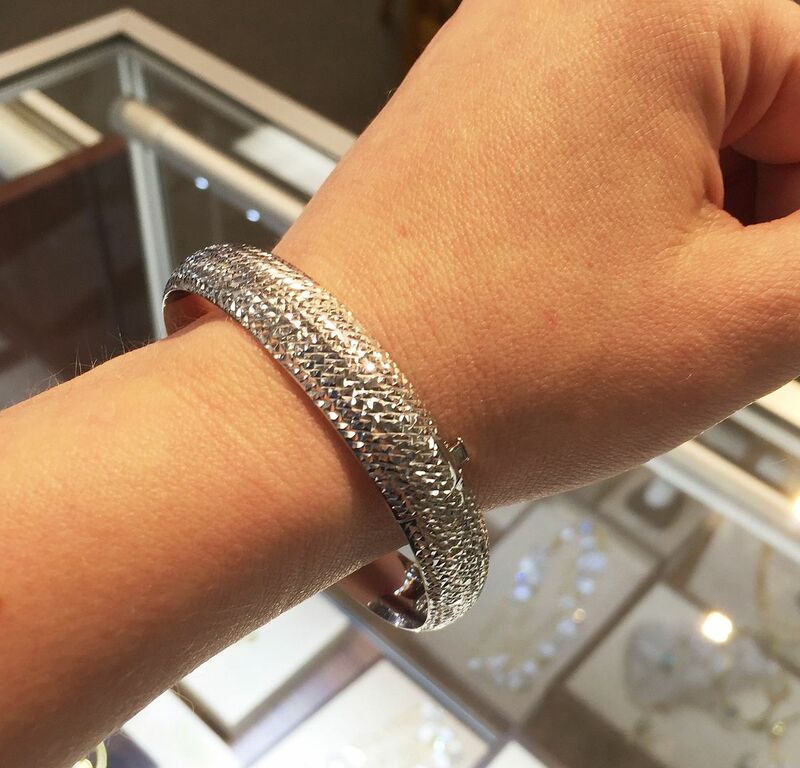 Now only $895!